At Total, our ambition is to become the responsible energy major. We will only achieve this with the help of our employees and their commitment to better energy. We have always had the firm conviction that the women and men of Total are the energy that drives our Group forward. That’s why we strive to create the conditions for them to express and develop their potential. Our objective is to offer our employees working conditions that allow them to fulfill their individual aspirations by collectively rising to the challenges of a responsible energy future. For people to be motivated when going to work every day, they need a goal that gives meaning to their actions. Total’s ambition is to produce the energy that the world needs, energy that is affordable, reliable and clean. This is also what drives the women and men of the Group, who work every day to meet these challenges. At Total, we believe that our employees’ fulfillment has its roots in the wealth of the experiences they are offered. 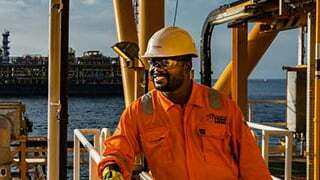 Our operations in 130 countries and our presence across the entire oil, gas and solar value chain offer them countless opportunities to take on new jobs or to relocate. And our employees, supported by their management and their HR Partner, have the opportunity to develop professionally throughout their career with the company. They can also expect to perfect and expand their expertise through access to numerous training courses. We strive to ensure that our employees enjoy a caring and good-quality work environment in terms of safety, health and work-life balance. Our goal is to offer our employees the means to achieve their professional fulfillment. In this pursuit, our approach is underpinned by a strongly shared set of core values ranging from safety, respect for each other, a pioneering spirit, standing together and being performance-minded. One of our values is respect for each other. Creating an inclusive environment in which everyone can express and develop their potential, from the moment they are hired and throughout their career, means ensuring that all our employees have the same opportunity to succeed, regardless of origin, gender, age, disability, sexual orientation, gender identity or affiliation with a political, religious, union, organization or minority group. This is our vision of diversity, which is an asset for our Group as well as for the women and men who embody it. Preserving and promoting this asset is another part of being a responsible employer. 25% of senior management positions (versus 5% in 2004 and 21.6% in 2018). More than 20% of management committee members at the corporate unit and in affiliates. In 2017, we reached our target. Raising awareness of careers in science among young women. Hiring women in proportions that reflect the percentages of female students in our target schools and training programs. Ensuring equal career development opportunities for women and men. For example, Total has been a signatory of the United Nations Global Compact initiative Women’s Empowerment Principles – Equality Means Business since 2010. It went on to sign IndustriALL’s global agreement in 2015, confirming its support of equal opportunities and workplace gender equality. Along with 20 other oil and gas companies, Total made a commitment at the World Economic Forum by signing “Closing the Gender Gap in Oil & Gas: A Call to Action for the Industry” in 2016, followed more recently by its endorsement of the Global Deal in 2017. 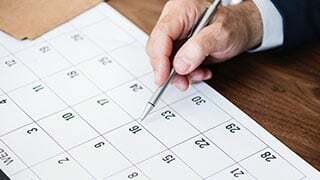 Initiatives raising awareness among employees. Our operations in more than 130 countries enable us to enjoy great cultural diversity at all levels of the company, bringing with it knowledge of local markets, fostering the emergence of innovative solutions through exposure to different points of view and methods, and attracting the best talent worldwide. To maintain this diversity, we give priority to local employment and hire wherever the Group operates. These strong commitments are also made at the highest levels of management. For many years, we have had a proactive policy promoting equal opportunities, employability and retention of disabled workers. Facilitate the professional integration of students with disabilities on combined work-study programs and internships. Support employees with disabilities throughout their careers, improving their working conditions by taking into account their needs in order to find appropriate solutions (ergonomic studies, adapted software, transportation assistance, telecommuting, purchase of specific equipment, etc.). Develop partnerships with the sheltered and supported employment sector. Many people are available within the Group to listen to employees with disabilities and seek suitable solutions. We also conduct awareness campaigns on disability among all employees. Since October 2018, as a member of the International Labour Organisation Business and Disability Network, we support the Principles of the ILO Charter. A stepping stone to strengthen employment, integration and career development for people with disabilities everywhere within the Group. My disability resource coordinator did everything necessary to adapt my workspace. My office now has a special floor mat, and my computer has voice recognition software. I also have on-site logistical support to help me get around. It’s nice and reassuring. Together with the occupational physician, the employees concerned and the plant’s management, I helped adjust the working time of an employee so that he could reconcile work with regular physiotherapy sessions. This has made him more relaxed. 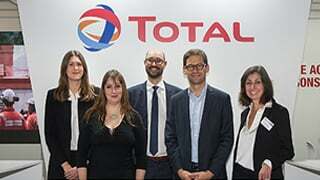 Total is strongly committed to making diversity a reality. That is why Patrick Pouyanné, Total’s CEO, together with 50 other corporate leaders, signed a pledge promoting inclusion and diversity. We aim to accelerate diversity inside our company, but also across the economy. Enabling our employees to achieve their full potential also involves listening to their aspirations, sharing our strategy with them, and empowering them to play a role in its construction. For this reason, dialogue with our employees and their representatives has a special place at Total. Most Group companies – even in countries where it is not a legal requirement – have employee representatives, most of whom are elected. They deal with the major issues facing the Group and the main concerns of staff, including safety, health, wages and training. Staff representatives also play a role at the European level, where we continue to develop social dialogue through negotiations with the European trade union federations. A European works council, which acts as a single employee representation body, has also been established to provide information and a forum for exchanging views on the Group’s strategy in areas such as Total’s social, economic and financial position, sustainable development, environmental and social responsibility and safety. In January 2015, to reinforce our commitment as a responsible employer, we signed a global agreement with the IndustriALL Global Union federation, which represents more than 50 million energy, mining, manufacturing and industrial employees in 140 countries. The agreement covers workforce safety, human rights and the strengthening of social dialogue. On the issue of gender equality, it works to ensure that maternity leave cannot have a negative impact on wages or career development. The future of energy represents a formidable challenge. At Total, it is synonymous with an exciting personal adventure. Joining us means taking part in this collective and fulfilling adventure in which each person’s entrepreneurship, experience and creativity are combined to contribute to achieving our ambition of becoming the responsible energy major.